Why is it said that "the true Camino begins with the homecoming"? The feeling of the pilgrim when he ends the Camino de Santiago for the first time has no comparison. In the first weeks after the end of our first pilgrimage route it is when really the proverb "the true Camno begins with the homecoming" takes every sense. 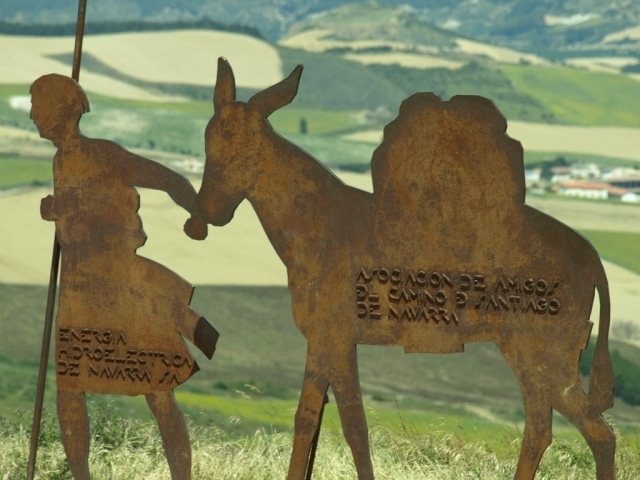 If you ever gotten accidentally or consciousness in a conversation about the Camino de Santiago, there are a lot of chances that you've heard that "the true Camino begins when you finish it" or some variant. It is something that has been said forever, and what many people do not give much consideration, but the truth is that there is much truth behind this statement, something that only those who have put their boots and have walked by one of the stages that travel throughout the peninsula can understand. To regard this saying is the bubble in which we enter the Camino de Santiago for a few days or weeks, away from the everyday world to which we give much importance and allowing us to live life in a completely different way. The Way We almost unwillingly sister with pilgrims with whom we share path, with which is very easy to empathize and fraternize, because we all have the same goal and the same ailments and intertidumbres; all we are looking for shells and yellow arrows. For a few days we competitive day to embrace a lifestyle of another era, walking through places of great beauty and recording in the retina dawns postcard. More than likely go home having completed the Camino de Santiago feeling a colossus used to overcome any challenge, based tannery footsteps, so the back is so hard. Back to environment always going to submit to the usual rules is perhaps greater than complete the toughest stages of the Camino challenge; a desolate destination the early days, a slap of reality that resonates in our cheek more than ever. Feel part of the Camino at the same time produces a fear inevitably get it again everyday, because the experiences are recorded and it is inevitable to compare. The feeling when you return the Camino is like coming home, open the closet and suddenly all the clothes you have outgrown. Although let us recommend a good remedy reflects and applies the best teachings of what you have lived your daily life to achieve "revalue". May trees do not prevent you from seeing the forest. And of course come back when you can, without overwhelm, because you know that the road will always welcome you with open arms. La verdad es que el camino es lindo. You tuve una experiencia unica, pues mi esposa e hija venian por el camino de el norte, ya habian completado 200 KM desde Oviedo. Y yo les di la sorpresa de llegar sin haberles avisado, y eso que vivimos en el otro lado del oceano atlantico. Pues mi intencion era no hacerlo, pero les apareci de sorpresa. Y fue lo mas lindo haberlo terminado junto a ellas. Yo hice 124 Km desde Vilalba. A pesar del mal tiempo y la solitud del camino lo logramos! Terminamos el 23 de Marzo. Ahora lo llevamos para siempre en nuestro corazon. Y definitivamente volveremos. Nosotros mi esposo y yo sentimos lo mismo! Ya de vuelta como lo extraño! Que casualidad, hace poco justo escribí esta entrada en mi blog..." El camino empieza después...me dijeron." Así es...nos quedamos "pillados"! Efectivamente nos quedamos pillados.....,yo estoy haciendo los caminos francés y portugués por etapas, acabo de terminar la etapa Astorga-Sarria y he vuelto a casa con los ojos aún llenos de belleza y amaneceres únicos, ya sólo pienso en el próximo en primavera, nos quedamos enganchados. Oms, no tenía ni idea, buena reflexión.